Demand is vitally important in creating a sustainable Internet ecosystem. It is necessary to address consumers’ ability to use the Internet, as well as fostering innovation. ICT infrastructure may often remain under-utilized, due to factors such as lack of affordability, interest or knowledge, which are obstacles to the productive use of ICTs and Internet. When challenges around affordability, awareness and ability are addressed, the value of ICT and broadband can be realized and people can benefit greatly (8). A recent UNESCO/UNICEF report notes that ICTs have immense potential to facilitate dramatic changes in learning and education systems, while placing new demands on the knowledge and skills that people need to acquire throughout their lives. There are, however, significant challenges in ensuring that everyone can benefit from this potential, and can use these technologies effectively in their lives. It is vital to ensure that the poorest, most marginalized and vulnerable people are not left behind and that tech investments contribute to improved learning and skills (9). Effective education systems are essential for meeting future challenges and delivering on the SDGs. Although rapid technological change has taken place over the last thirty years, education systems in many countries have remained largely unchanged over the last century. Education is about much more than merely providing people with the skills and knowledge to work, and must create a framework through which people can lead diverse and fulfilling lives. People of all ages should have opportunities to learn about their own cultures, in their own languages. There is considerable debate as to what proficiency in digital skills and an ‘adequate’ level really mean. Digital skills have been broken down into three categories: (1) the basic digital literacy needed for all workers, consumers and citizens in a digital society; (2)the advanced ICT skills (coding, computerscience and engineering) which are needed todevelop innovative ICT products and services;and (3) e-business skills or the specific know-how needed for digital entrepreneurship (10).Figure 15 shows how global averages for digitalskills vary from 5.2% (using a programminglanguage) to 43.7% (transferring files). Source: UNESCO. Note: Based on average skills available for the different numbers of countries available * = 50 countries. It is likely that only some of these necessary digital skills can be taught in schools. Many of the digital skills needed in the new economy may be self-acquired – or at least self-perfected – through personal curiosity and interest. Viewpoint 15 describes how KT is working with the Cambodian Government and Cambodia Telecom to promote digital skills through a digital schools programme and public WiFi in parks near the capital, Phnom Penh. In Singapore, IMDA works in partnership with the industry, community and other government agencies in the Media Literacy Council (MLC) to champion and develop public education and awareness on media literacy and cyber-wellness issues. The MLC’s outreach initiative, the Better Internet Campaign, encourages safe and responsible online behaviour. The campaign messaging – “Be Safe, Be Smart, Be Kind online” – addresses issues such as cyber-safety and security, critical thinking and discernment of online falsehoods, online civility and cyber-bullying. The MLC has also launched programmes with schools and tertiary institutions to develop curated resources in collaboration with private sector and people-based organizations such as Google, Facebook, DQ Institute, TOUCH Cyber Wellness and the Centre for Fathering to provide the community with tools and tips to navigate the online space. Viewpoint 16 explores how new employment dynamics will impact future skills. –Promotion of economic empowermentby enabling asset accumulation,including for women. According to the World Bank, financial inclusion is growing, but the gains have been uneven. 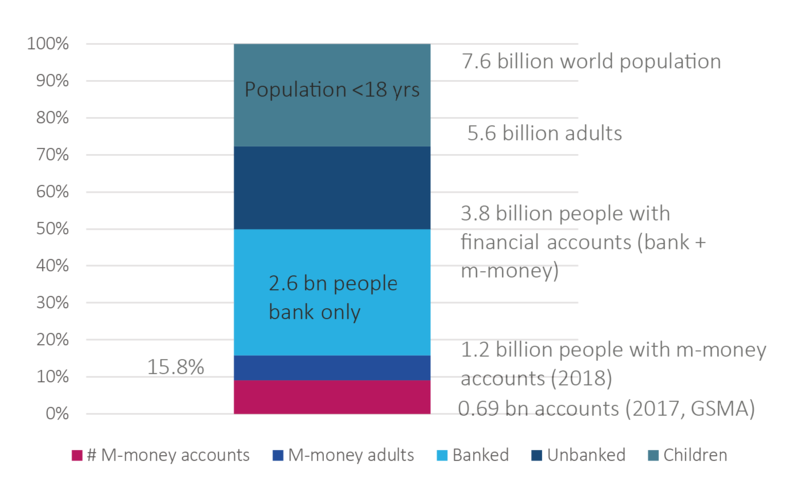 The World Bank suggests that 3.8 billion people now have an account at a bank or mobile money provider, and 1.2 billion people have a mobile money account (13), this last equivalent to 15.8% of global population and around 21.4% of the adult population (Figure 16). However, globally, 1.7 billion adults still remain unbanked and gender-based divides persist, with the divide between male and female in developing economies unchanged since 2011 at 9% (Figure 16). Source: Based on World Bank (2018) and GSMA (2017). Note: This graph assumes that one m-money account is allocated per adult individual, and that all bank accounts belong to adults. The GSMA found that 136 million mobile money accounts were added during 2017, resulting in 690 million mobile money accounts worldwide in 2017, a 25% increase on 2016 (and up from 136 million mobile money accounts in 2012). Mobile money is now available in 90 countries (including three-quarters of low- and lower-middle-income countries) and has become a leading payment platform for a digital economy in emerging markets. 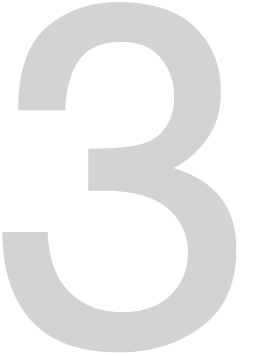 In 2017, Western Africa accounted for an estimated 338 million accounts, with Sub-Saharan Africa accounting for nearly half or 49.1% of total global market share in 2017, with the strongest growth in South Asia (14). In geographically dispersed countries (such as the Maldives), citizens in rural areas may face difficulties in accessing traditional banking services. Digital financial services (such as the M-Faisaa mobile wallet, part of Ooredoo Mobile Money) are playing an important role in accelerating financial inclusion, focusing on convenience and affordability. M-Faisaa allows customers to deposit, withdraw, pay and send money in Maldives instantly through their phones. It has a growing user-base of 12,000 customers and 250 channel partners (including STELCO, the State Electric Company, Medianet, the cable TV service, and various online and offline merchants) and also digitizes bill payments. In Myanmar, Ooredoo’s ‘M-Pitesan’ mobile money service allows users to store electronic money and make transfers via their mobile phones. M-Pitesan supports over-the-counter cash transfers between mobile money agents. Given that 70% of Myanmar’s rural population remains unbanked even today, mobile money services such as M-Pitesan provide an alternative channel for the unbanked to access financial services. To date, M-Pitesan has 300,000 registered customers country-wide with 30,000 using the solution actively to transfer money, buy airtime, pay bills and purchase tickets. Digitalization may be applied beyond digital financing. Invoicing is an example of a business-to-business (B2B) transaction that cuts across businesses and sectors. E-invoicing can help businesses speed upbusiness transactions, minimize disputes andreduce errors and operating costs. E-invoicingis the automated creation, exchange andprocessing of request for payments betweensuppliers and buyers. Singapore plansto implement a nationwide e-invoicing framework in 2018 with end-to-end digitaltransactions enabling businesses to exchangee-invoices with buyers and suppliers. This target prepares MSMEs for a future where online presence is needed. There is a body of evidence that SMEs are instrumental in eradicating poverty, creating economic growth, and empowering citizens to become productive. Connectivity, connectedness and the adoption of digital technologies by SMEs can offer the opportunity for tech SMEs to play a major role in a country’s economy, as well as the adoption of broadband connectivity and technology in SMEs in non-tech sectors. Source: UNCTAD World Investment Report 2017. Research differs as to whether SMEs are more or less likely to adopt ICTs, or lag in the adoption of certain digital technologies. There is evidence to suggest that SMEs are just as likely to use broadband as larger firms; however, gaps in adopting more sophisticated digital tools exist. 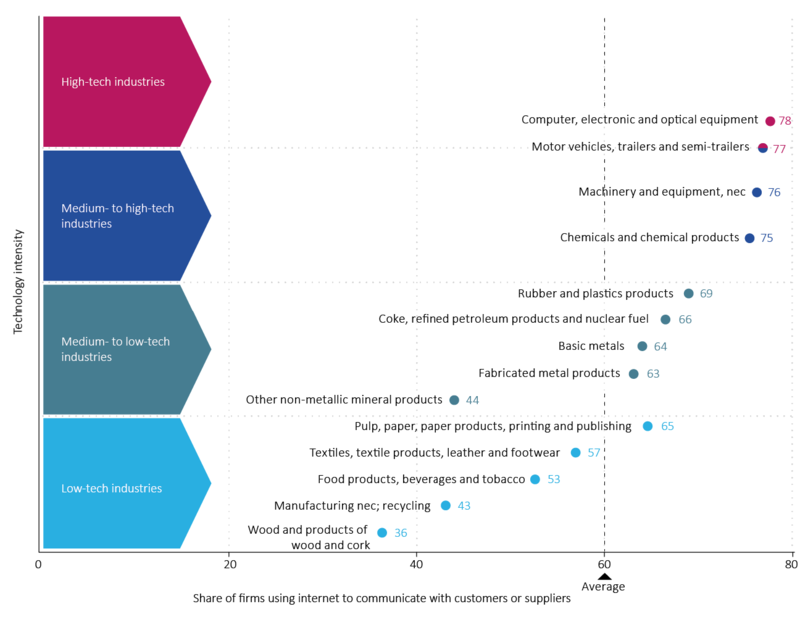 Figure 17 shows that technology intensity and business use of Internet vary by sector in developing countries, according to their degree of technological sophistication, with primary extractive industries showing lower tech take-up. Viewpoint 17 describes the work of the Commission’s Working Group on Digital Entrepreneurship, while Viewpoint 18 explains the importance of connectivity for SMEs, while Viewpoint 19 describes how Singapore’s SMEs are going digital. Historically, the digital gender divide was originally evaluated at 11% between men and women (ITU, 2013), which then actually increased to 11.6% in 2017 (ITU, 2017 (15) and Figure 18). Despite this adverse trend, it is hoped that gender equality in Internet access can be achieved by 2025. The proportion of men using the Internet is higher than the proportion of women using the Internet in around two-thirds of countries worldwide. According to GSMA, over 1.2 billion women in LMICs do not use mobile Internet. Women are, on average, 26% less likely to use mobile Internet than men. Even among mobile owners, women are 18% less likely than men to use mobile Internet. Beyond cost, barriers to mobile ownership may relate to the local context, including low digital literacy and literacy, and safety and security concerns in Latin America, all of which tend to affect women disproportionately. Women may be generally less aware of mobile Internet compared with men, which can significantly limit their uptake, particularly in Africa and Asia. A strong link is observed between gender parity in the enrolment ratio in tertiary education and gender parity in Internet use, as the digital gender divide reflects broader social inequalities (16). The only region where a higher percentage of women than men are using the Internet is the Americas, where countries also score highly on gender parity in tertiary education. While the gender gap has narrowed in most regions since 2013, it has widened in Africa. In Africa, the proportion of women using the Internet is 25% lower than the proportion of men using the Internet (17). In LDCs, only one out of seven women is using the Internet compared with one out of five men. In conjunction with a number of other partners, ITU has launched the EQUALS partnership, a growing global network to bring women and girls to tech, and to bring tech to women and girls (https://www.equals.org). Viewpoint 20 describes how mobile can help close the digital and financial inclusion gender gap, while Viewpoint 21 describes the Jazz-Unilever partnership addresses the lack of access by women to DFS in Pakistan by building on Unilever’s network of female retail entrepreneurs, which enables women to act as mobile money agents. In Japan, 50% of households already have 100 Mbps and the other remaining 50% at least 30 Mbps, has chosen not to set additional connectivity goals. Instead, in their broadband strategy, they target the establishment of commercial 5G by 2020. UNESCO and UNICEF report “Technologies & the Future of Learning & Education for All”, with support from other UN agencies. The European Centre for the Development of Vocational Training (Cedefop) in “Skills, Qualifications and Jobs in the EU: The Making of a Perfect Match?”, Cedefop, Thessaloniki, 2015. Aghion, Philippe & Howitt, Peter, “Growth & Unemployment”, Review of Economic Studies, 1994, vol.61, issue 3, 477-494.